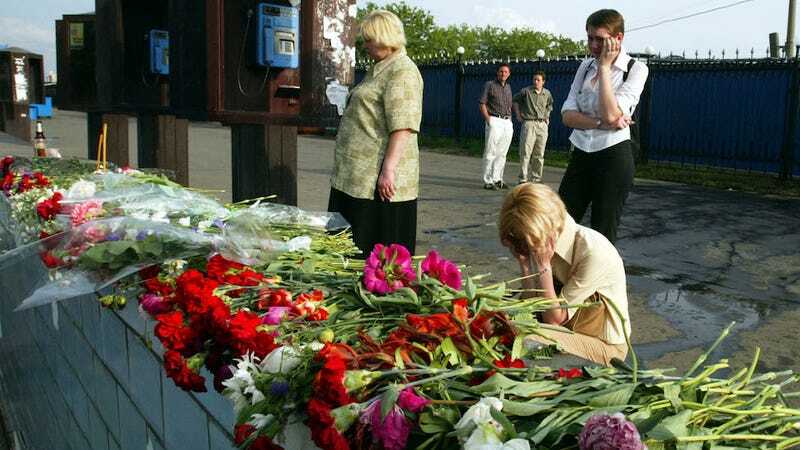 Yesterday's suicide bombing in Volgograd, Russia, and the subsequent pre-Olympics crackdown has brought attention once again to the country's "black widows," or female suicide bombers from Chechnya and other North Caucasus regions. Most studies of Chechen female suicide bombers have found that they tend to be women who have experienced serious personal trauma and are then exposed to recruitment from jihadist military groups. As the term "Black Widow" would suggest, many have lost close family members over the last two decades of violence since war first broke out in Chechnya. A 2006 study finds that many black widows turn to Jihadist groups as an outlet for their grief, especially since it's taboo for Chechen women to openly talk about "topics of love and sexual frustration." They are then vulnerable to this extreme, yet acceptable way of expressing their pain, at least as it relates to the sociopolitical context they live in. The one outlier, Naida Asiyalova, who carried out a bus bombing in Volgograd this past October, did not fit the "black widow" mold when she carried out her attack. This Foreign Policy article details motives she may have had related to growing up in Dagestan, showing that the causes of North Caucasus terrorism, whether carried out by black widows or not, run deep.